Imagine that a wealthy, selfish, petty, mean tyrant rules the land: what would you do? Well, if you’re Robin Hood you fight for what’s right and rebel. 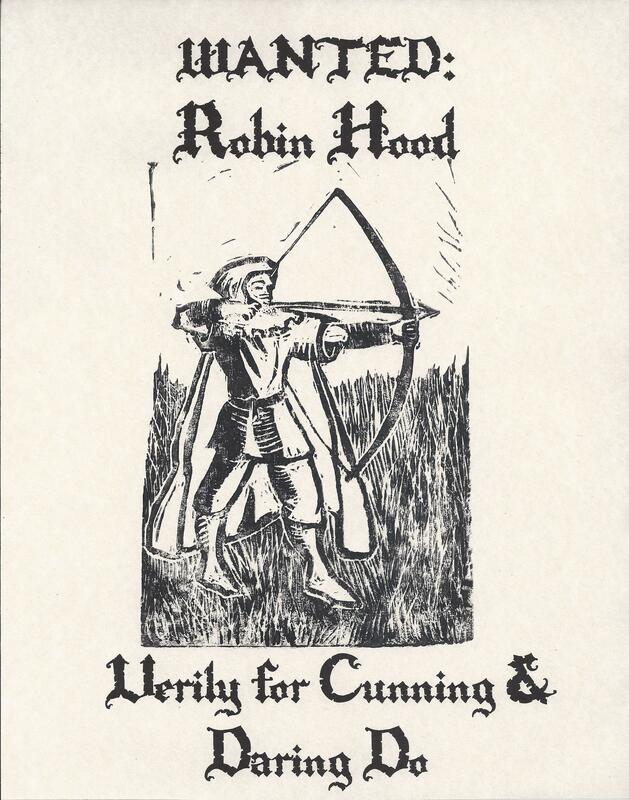 Fight the power with this Robin Hood Wanted Poster! The image is a handpulled Linoprint, the type is from a computer (I’m not crazy), and the paper is parchment. 8×10, ready to go on to a sign, into a frame or up on the wall.